It was the bottom of the 14th inning of the 1988 Bend Bucks season finale and Dave Partrick got the sign to bunt. All Partrick needed to do was to make it to first safely and the winning run would cross the plate, according to The Bend Bulletin. He made it. "I just wanted to get it by the pitcher," Partrick told The Bulletin, "so the third baseman would have to field it. That made it a footrace between me and the ball." Partrick finished out his first professional season with that game, playing 56 games as an outfielder for the Angels affiliate. Four years later, it was Partrick who was fielding bunts, having moved to the mound. He'd made it to high-A as an outfielder. As a pitcher, he lasted a single season. He never made AA. Partrick's career began in 1988, taken by the Angels in the eighth round of the draft out of Gonzalez Tate High School in Pensacola, Fla.
Partrick played his first year at short-season Bend. He hit .225 in those 56 games. 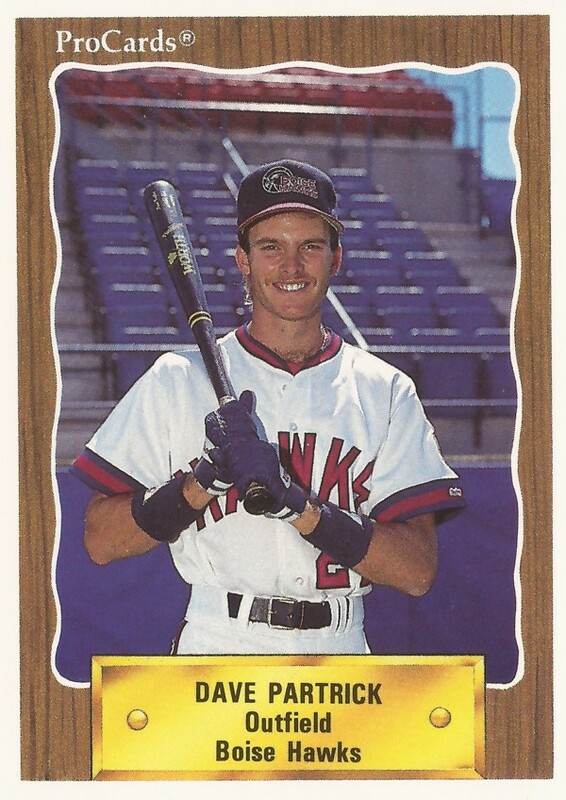 He moved to single-A Quad City in 1989, hitting ,.202 there over 100 games. He hit one home run and stole 12 bases. He played 1990 between high-A Palm Springs and short-season Boise. He hit just .169 at Palm Springs and .226 at Boise. With Boise that August, he tied a league record he didn't want: He struck out five times in a single game. A few games later, in the playoffs, he went the opposite way, going 4 for 4, scoring three times. Partrick played another season in the outfield in 1991, playing back at Palm Springs. He hit .202. It was in 1992 that he made the move to the mound. Partrick pitched in 20 games in relief back at Boise. He had a 3.86 ERA. He went 3.1 hitless in a June game. He gave up a home run in an August outing. It was his final year with the Angels. His final pro time came in 1993 at independent Sioux City. He returned to the outfield and got into 11 games. He hit just .125, ending his career.